If you're on Blogger, and you have a cute, custom Pin It button that perfectly matches your design, chances are, you're NOT using the best Pin It button for your blog! Whether you hired a designer or did it yourself, it's likely that in our quest for beautiful blogs, we (because I am guilty too!) chose form over function. Today, I'm here to show you how to fix that! Every single Blogger blog I have seen with a custom Pin It button uses the code from Bloggersentral. It's great code, if you want a custom button that perfectly matches your blog. Its one small downfall is that it doesn't use the image title or alt text when it creates a pin. So you end up with a pin that might only have the post title (or in some cases, only PART of the post title) in the pin description. This is bad. B.A.D. But there's an easy fix! Upload your image to your blog post. Click on the image, then click properties. By using the official Pin It button from Pinterest, every time someone clicks to pin from your page, the title and alt text that you entered will automatically pop into the description for the pin! This give YOU control over your pin descriptions and can increase your pin's visibility. Rule #1 is to always, always, ALWAYS back up your blog template before you go messing around with it! That way if you mess up, you can fix it! Find your current Pin It button code and delete it. Highlight this entire section of code and delete it. Add the Pin It button code directly from Pinterest. Is it the cutest Pin It button, no. Can you customize it? No. And here's the thing, Pinterest doesn't really want you customizing the button. They want their branding out there, not yours. But it works, and it allows you to enter Alt Text so that your pin descriptions are exactly how you want them, no matter who pins from your blog! 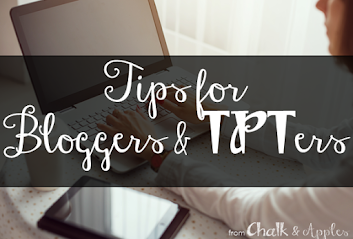 For more tech tips & tutorials just for bloggers, check out my Tips for Bloggers board on Pinterest!